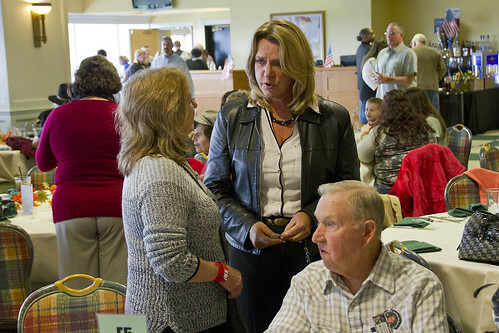 LOUISVILLE, Ky. — Secretary of the Air Force Deborah Lee James, Kentucky Adjutant General Edward W. Tonini and senior military officials joined the families of fallen Service members at Churchill Downs for the sixth annual Survivors Day at the Races Nov. 1 in Louisville. The day was designed to recognize the surviving family members of military service members who have given their lives in defense of our nation since September 11, 2001. 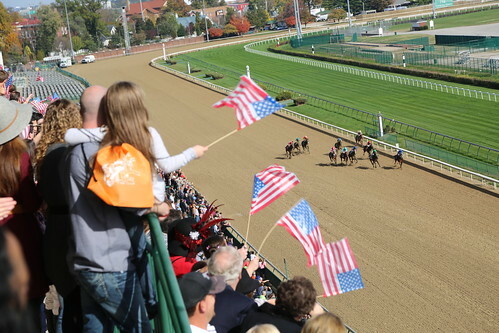 More than 850 family members and guests from Georgia, Illinois, Indiana, Kentucky, Ohio, Pennsylvania, Tennessee and West Virginia attended the event. Organized by Survivors Outreach Services, the event is one of the largest of its kind in the country recognizing families of each Service branch. Those attendance were treated to a buffet lunch in the historic track’s Millionaires’ Row, live music, activities for children and the best view of the races on the track below. Highlighting the day was a race named in honor of the Survivors of Fallen Military Heroes. 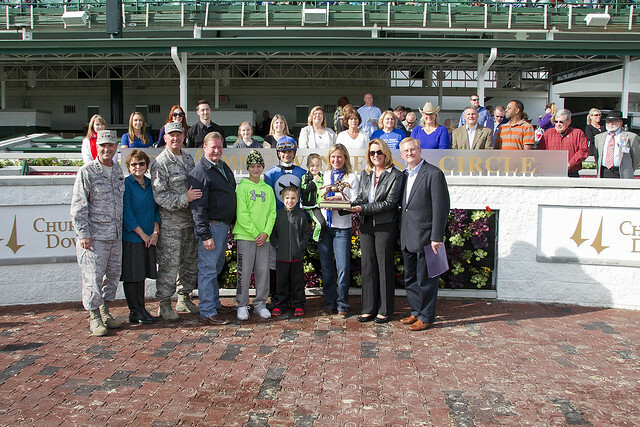 Family members joined the winning jockey and horse in the winner’s circle to present the race trophy. Lt. Gen. Joseph Lengyel, Vice Chief of the National Guard Bureau paid his second consecutive visit to the event and was thrilled with its growth. Humana Government Business Services also helped sponsor the event and joined forces with U.S. Bank and Military Warriors Support Foundation to give away a mortgage-free home to a wounded Soldier. Orie Mullen, president of Humana Government Business and Dave Lieske with Military Warriors presented Jason McAlister and his wife Lendie with a key to their brand new home in LaGrange, Kentucky. McAlister served eight years and two deployments with the 10th Mountain Division and was wounded in an IED attack in Afghanistan in 2004. He and Lendie both agreed this has and will change their lives and the future of their family. Military Warriors is a 501(c)(3), nonprofit organization that supports wounded Service members and surviving family members. Lieske said they plan to return to next year’s event and give another home away. Mullen echoed that sentiment by indicating that Humana would like to return as a sponsor next year as well. More than 600 Kentucky military service members have given their lives in the defense of the nation since 9/11. Eighteen Kentucky Guard Soldiers have died in a theater of war in that time, fourteen in Iraq, four in Afghanistan.